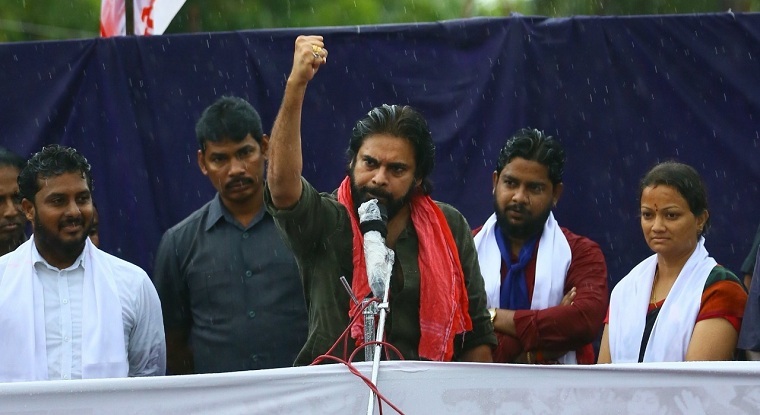 Pawan Kalyan is campaigning is going on in full swing in Andhra Pradesh, Janasena party founder has called for a political meeting named Janasena Kavathu on Dhavaleswaram barriage on 15th October. The meeting aimed at the ultimate better society. The meeting will be held on Godavari district, consisting five MP’s and 34 MLA constitution. Power star has planned a huge political gathering after a long time. However, the star has a small request for fans who are attending the Kavathu meeting. Pawan Kalyan has urged his fans to attend the meeting carefully and show the excitement in Kavathu, also humbly requested fans to drive safe and think of his families and him while driving.